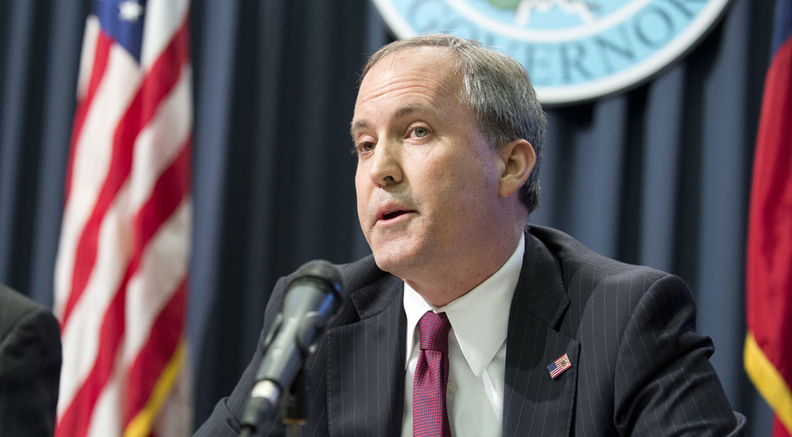 Texas Attorney General Ken Paxton is leading the ACA court challenge. But that's all changing as the ACA faces its day in court … again. The queasy feeling of uncertainty that surrounded the law just one year ago is back. The level of panic setting in for the industry and lawmakers is pinned to oral arguments set for Sept. 5 in Texas vs. Azar. Twenty Republican state attorneys general, led by Ken Paxton of Texas, are seeking a preliminary injunction to halt enforcement of the law effective Jan. 1. Their argument is built around the Supreme Court's 2012 ruling in which Chief Justice John Roberts said the law is constitutional because it falls under Congress' taxing authority. The AGs have seized on the congressional GOP's effective elimination of the individual mandate penalty in the 2017 tax overhaul as grounds to invalidate the law. Conservative U.S. District Judge Reed O'Connor will hear the case in Austin, Texas. O'Connor has already ruled against an ACA provision that prohibited physicians from refusing to perform abortions or gender-assignment surgery based on religious beliefs, and he is considered a wild card. Even ACA supporters who downplay the legal standing of the case are bracing for the possibility that O'Connor will side with the plaintiffs, who ultimately see a path to the Supreme Court. Insurers are on the lookout for signs of what could happen next. If O'Connor's decision comes down before open enrollment starts on Nov. 1, the GOP will feel increasing pressure to do something substantive, according to an industry official who asked not to be identified. Although a ruling striking down the law wouldn't necessarily impact the individual market in 2019, it would spark the kind of massive uncertainty that insurers hate and complained of last year during the GOP repeal-and-replace efforts. America's Health Insurance Plans filed an amicus brief urging the court to deny the request for a preliminary injunction, citing the massive impact such a move would have on insurers in the individual market, Medicaid managed care and Medicare Advantage plans. “It creates a lot of impetus for federal or state action,” the insurance official said, noting that insurers would have to rely on HHS to interpret how the law's regulations would apply going forward. If mounting court decisions start to drastically affect the law's mandates, it would fall to HHS how to manage complicated questions around how to follow ACA rules. For now, lawmakers aren't showing any willingness to take a bipartisan approach. The House GOP plans to introduce a companion bill to the Senate measure, Tillis told Modern Healthcare last week. Meanwhile Democrats have made hay over the fact that the protections in his legislation are incomplete. Tillis said leaving out the prohibition of coverage exclusions was not intentional and GOP senators would look again at the bill if the lawsuit advances. He added that he envisions the legislation as just one piece that could build into a bigger overhaul effort, and wants to see protections of other popular provisions such as allowing people up to age 26 to stay on their parents' health insurance. And as nomination hearings for Supreme Court nominee Brett Kavanaugh get underway Sept. 4, Democrats will keep using the GOP's dilemma as a cudgel. McCaskill, for instance, is leveraging the issue in her neck-and-neck race against Missouri Attorney General Josh Hawley, who is part of the lawsuit. And then there's the other political dilemma for Republicans who want to show they can secure Obamacare's protections: convincing their base that they still fundamentally oppose Obamacare even if they don't want to talk about repeal-and-replace anymore. “You can be sure there are folks out there who really desperately don't want to see the Texas side laughed out of court,” Whitlock said. “It destroys the whole narrative about the lawsuit. It's this bizarre dynamic where an obscure lawsuit that has no legal basis whatsoever leaves the opportunity to talk about” repeal.